A diet of seeds saved the beaked birds, while carnivorous bird-like dinosaurs perished in the catastrophe that killed all the dinosaurs. 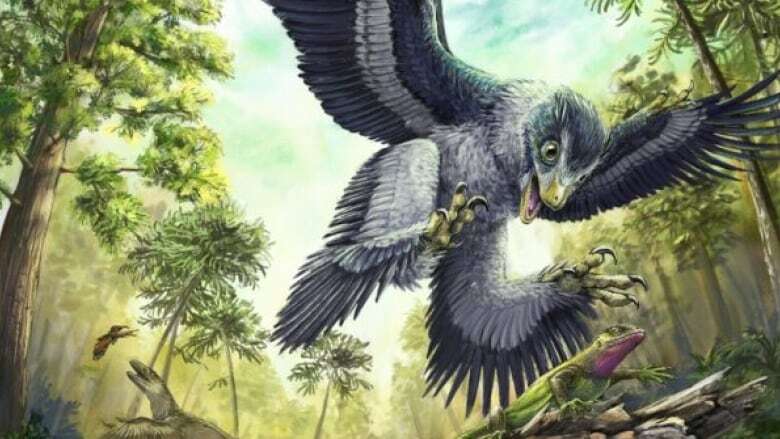 For many years, scientists have been puzzled as to why the ancestors of today's birds survived the mass extinction at the end of the Cretaceous, 66 million years ago. Part of that mystery involved the fact that the similar bird-like dinosaurs did not survive. Now a new study by Derek Larson, the Assistant Curator at the Philip J. Currie Dinosaur Museum in Grand Prairie, Alberta, has found that the answer relates to diet. Carnivorous bird-like dinosaurs, those with teeth, disappeared suddenly when the asteroid hit because their diet disappeared as well. But those with beaks survived - and gave rise to modern birds - because of their ability to eat seeds. Seeds remained in abundance in the aftermath of the mass extinction.